Implied racism or just good clean fun? 2 clips from a very curious 1962 film directed by Jack Cardiff and starring Yves Montand and Edward G. Robinson... and Shirley MacLaine. A complicated plot which somehow ends up with MacLaine in full geisha drag fooling everybody and appearing in a movie version of Puccini's MADAMA BUTTERFLY where she sings Un Bel Di (don't ask) Silly,even vaguely grotesque ... but not unwatchable! 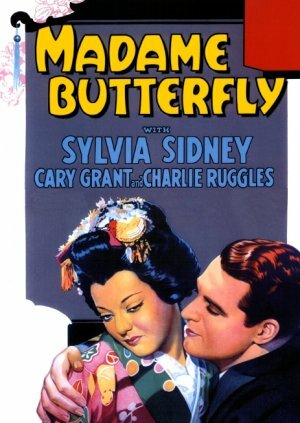 We've seen Sylvia Sydney, Mary Pickford, Marlon Brando, and Ricardo Montalban putting on Japanese makeup and here's another slue of Hollywood actors in "yellowface"